This Summer we have definitely seen our fair share of rainy days! Although you can meticulously plan you’re wedding down to the last minute detail one thing we can’t plan for is the weather. Here are a few tips and hints to make sure you are fully prepared for any weather and that it doesn’t dampen your celebrations! You probably already are but check the weather report and keep checking it for the week ahead. You should by now know what it is likely to be doing so it is now the time to get planning. 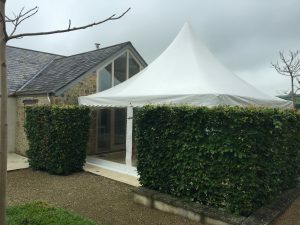 If you are having an outdoor wedding with a marquee you may want to think about getting in touch with your marquee company and ask for advice. Luckily our marquees at Camelot are already linked together with gutters and are water tight but you may want to discuss the idea of extra shelter for walkways or your outdoor ceremonies and hard flooring for walkways or the marquee itself if you don’t already have it. The size of the marquee may also be able to be increased to incorporate welcome drinks too. We are so lucky to have such skilled photographers, with amazing cameras, that they are able to capture tiny spectacular moments of reality in any weather and are able to use whatever light they do have to create some amazing photographs. Call your photographer and have an honest chat about your photos, what you would like to achieve, timings and any concerns you my have. They may have some portfolio shots of previous wet weddings and parties. They will be there to guide and support you. If you are having an outdoor wedding consider getting welly boots for yourself and your bridesmaids and even guests. You could match them with your colour theme or go completely opposite and make a statement out of them and go for bright and bold. 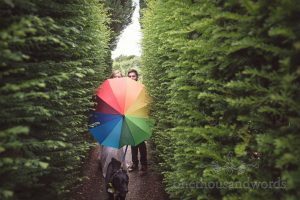 You could also provide guests with umbrellas again matching your theme and colour. There are some beautiful umbrellas out there plus some very eclectic welly boot and umbrella stands. To keep with wet weather theme you could also provide coat stands and make a real feature of the fact that it is raining! 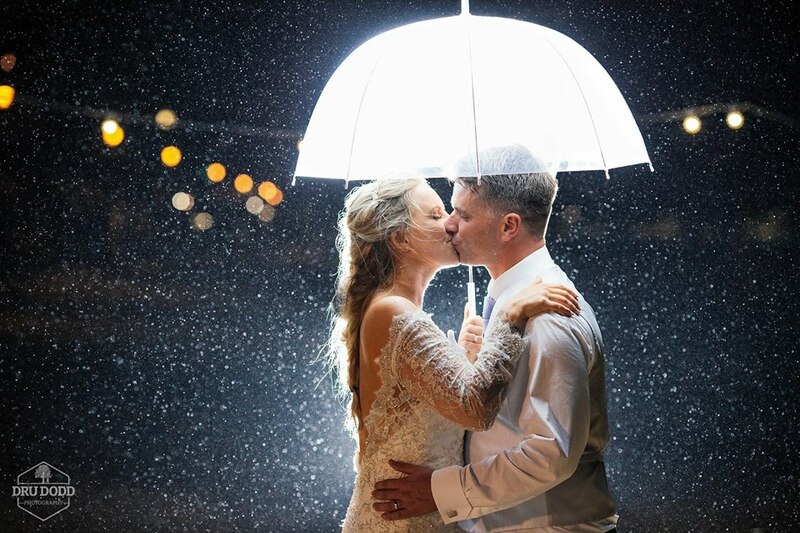 People can be really creative and inspired when it comes to rainy day weddings. Check out Pinterest and Instagram for inspiration!!! But whatever you do do not let it ruin your celebrations.